Our Entertainment Online agency offers a diverse line up of professional speakers, MCs, comedians and other entertainers. We can accommodate big, elaborate events as well as small, intimate private occasions. How our service works is as follows. If a clients is hosting an event and wants a comedian, MC, keynote speaker or any other type of entertainer to perform at their event, they consult our agency with an idea of what they want and we then provide them with options that fit their specific requirement. For today’s newsletter, let’s take a look at some of what we got up to this month. We assisted a Standard Bank event in Johannesburg. The event was about the role of financial institutions in climate change mitigation. They discussed what businesses could do to play meaningful roles in mitigating climate changes as well as the impact on people’s human rights. For this event we provided the organisers with Redi Thlabi. For those who don’t know, Redi Thlabi is an influencial radio show host, broadcast journalist and author. 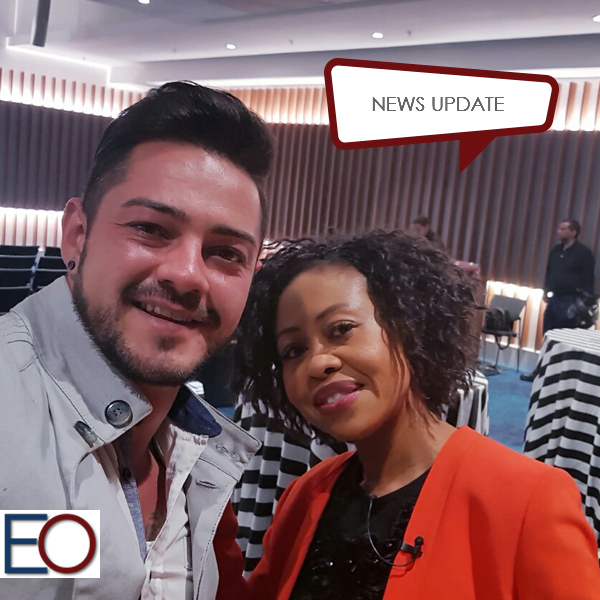 We also assisted a Vodacom event in which they launched a new product. For this event, we provided the organisers with the beautiful Pabi Maloi. Pabi Maloi is a South African TV presenter, actress and radio DJ, best known for hosting All Access. As professionals in the industry, we best know how to connect the perfect personality to your particular event. With that said, we not only make recommendations, if you have a specific personality in mind we can assist as well. South Africa is a cultural hub of diversity and more and more industries are opting for ways in which to incorporate some of our most popular cultural trends. Sadly, we are not exposed to these elements all the time, but corporate and other events present perfect opportunities in which people can get a glimpse of some of the country’s culturally driven art. With saying that, we shed focus on artists like Gcina Mhlophe, who is a poet and great story teller, among other things. We also shed focus on the art from of traditional chanting and song. We have something for everyone. People are increasingly trying to take life with a pinch of salt and so comedy is a good avenue for yearend events and corporate functions. We have some comedy greats available on our website. Trevor Gumbi, Kagiso Lediga and even Jeremy Mansfield who will conduct a cooking show at your event. We can also provide bands and musical artists for wedding occasions, yearends and other occasions. Good examples for both weddings and corporate yearends include soft Jazz and classical opera. In which case, have a look at the Three Afro Tenors and Basadi Women of Jazz. The Three Afro Tenors are a classical operatic function band that has gained popularity for their years in the industry, performing together since the mid-90s. They also perform traditional African songs, in which they dress in traditional African shirts when they perform. When they perform Opera, they dress in suits. The Basadi Women of Jazz perform a mixture of unique and traditional sounds, which combine to make their exceptional music in Jazz. We have something for every event. For further information about our services please feel free to contact us.